Eleven Saudi princes face trials in the kingdom after being arrested for a protest against the end of state subsidies for their utility bills, the attorney general said on Sunday. The princes were detained after gathering outside a palace in Riyadh on Thursday to demonstrate against a government decision to stop paying the water and electricity bills of royals. They also demanded compensation for a death sentence issued against one of their cousins, convicted of murder and executed in 2016, attorney general Saud al-Mojeb said. “A group of 11 princes staged a sit in at the historic Qasr Al-Hokm palace on Thursday… objecting a recent royal order that halted payments by the state to members of the royal family to cover their electricity and water utility bills,” Mojeb said in a statement issued by the information ministry. “Despite being informed that their demands are not lawful, the 11 princes refused to leave the area, disrupting public peace and order,” Mojeb said. The 11 have been charged on “a number of counts” and are being held at the maximum security Al-Hayer prison, south of Riyadh, according to the statement. The news comes amid a string of austerity measures implemented by the government, as Saudi Arabia pushes to diversify its oil-dependent economy amid massive budget deficits triggered by the 2014 drop in global oil prices. The measures have been linked to rising tension within the royal Al-Saud family which counts thousands of members — only a handful of whom wield direct influence over the kingdom. 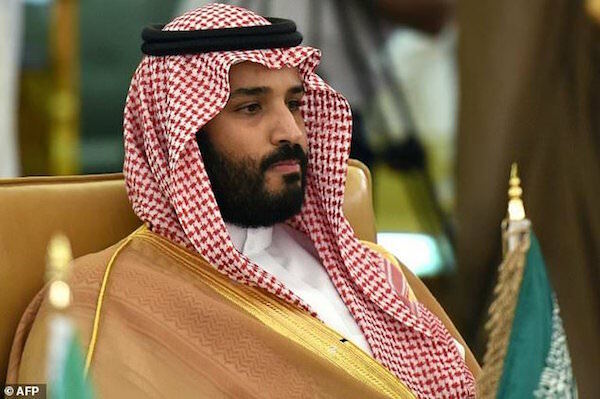 The economic overhaul has been linked to the arrest of more than 200 princes in an anti-corruption purge in November spearheaded by powerful Crown Prince Mohammed bin Salman, the king’s son and heir to the throne. Most of those detained were held at the palatial Ritz-Carlton hotel in Riyadh, which has turned into a luxury prison. Some have since reached settlements with the government. On January 1, Saudi Arabia imposed a five percent value-added tax on most goods and services, ending its decades-long tax-free policy. King Salman on Saturday announced a string of benefits for Saudi citizens, particularly military personnel and public servants, to “soften the impact of the economic reforms”.